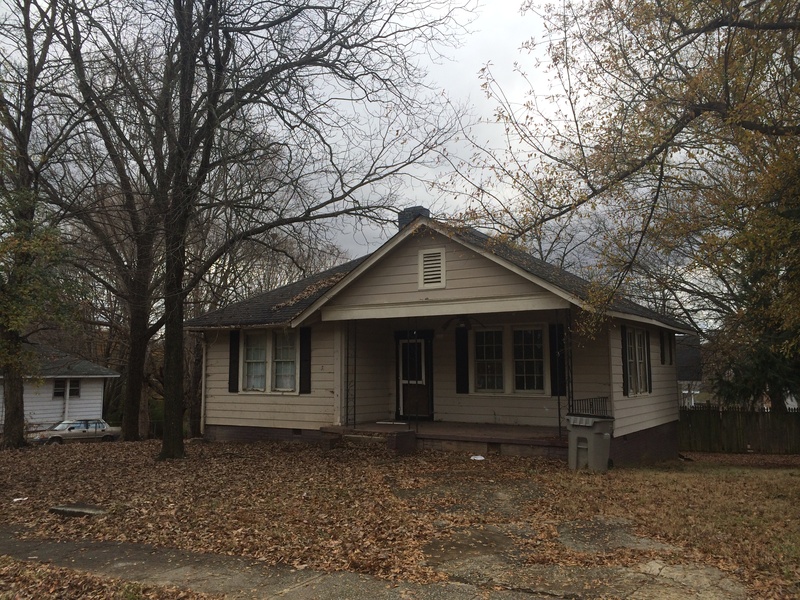 Gastonia became our home—wild, shabby, shambling Gastonia—the Gashouse, G-town. We moved to a neighborhood of stout, tiny mill houses in the shadow of a big brick monster known as the Firestone mill. It was working-class and trending poor at the time, with a mix of white and black families and a handful of new migrants from Vietnam and Mexico. There were rumors of crackhouses in the neighborhood (this being the early 1990s), though I can neither confirm nor deny whether this was just the fever dream of our paranoid, upstanding parents, but there was definitely violence in the streets. (I remember once a beaten and bloody man dragged himself onto my aunt’s lawn, as adults hurried the kids into the back rooms of the house. My mom was robbed six times in her job as a nighttime convenience store clerk.) Gastonia seemed like a dangerous place, even though it offered more promise than the places we had lived before. I eventually grew up, went to college in Charlotte, and left for grad school in New York. It was not until I was in a course called “The South After Reconstruction,” taught by legendary ToM favorite Barbara Fields, that I began to learn something about where I came from. 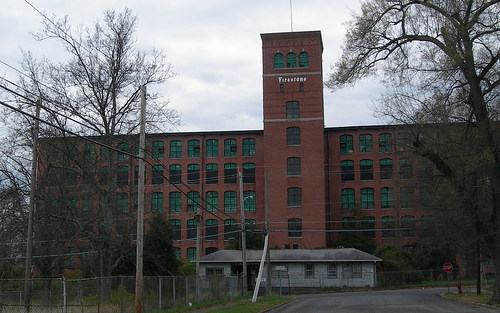 The Firestone mill had not always been a hulk belching rubber smoke; the iconic tire company had bought the facility in 1935, after it had experienced a tumultuous history as a textile plant. I learned all this after having signed up, quite unwittingly, to do the presentation for a week on Southern industrialization, which included reading the great James Cobb’s The Selling of the South (1982) as well as Liston Pope’s Millhands and Preachers (1942), a practically contemporary account of both the strike and the overall social structure of milltown Gastonia. For a time I thought about writing my dissertation about the renovation of old, abandoned mills as housing and shopping areas, such as Loray, which was then slated for redevelopment, and I soon delved into the story of the seemingly quixotic quest to gentrify the rundown factory. 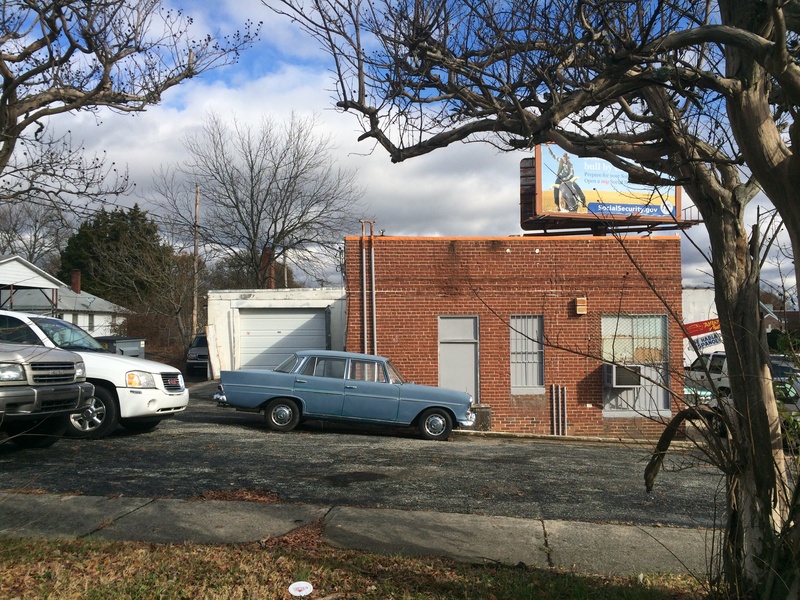 What bohemians and yuppies would want to live on Gastonia’s generally poor west side, with only a derelict downtown nearby and the cultural amenities of Charlotte located twenty miles from the east side of town? The redevelopment effort had been going since at least 1998, when Firestone gifted the building to Preservation North Carolina, a nonprofit group, but plans to renovate the space had stumbled by the time I began to study the topic in 2004. 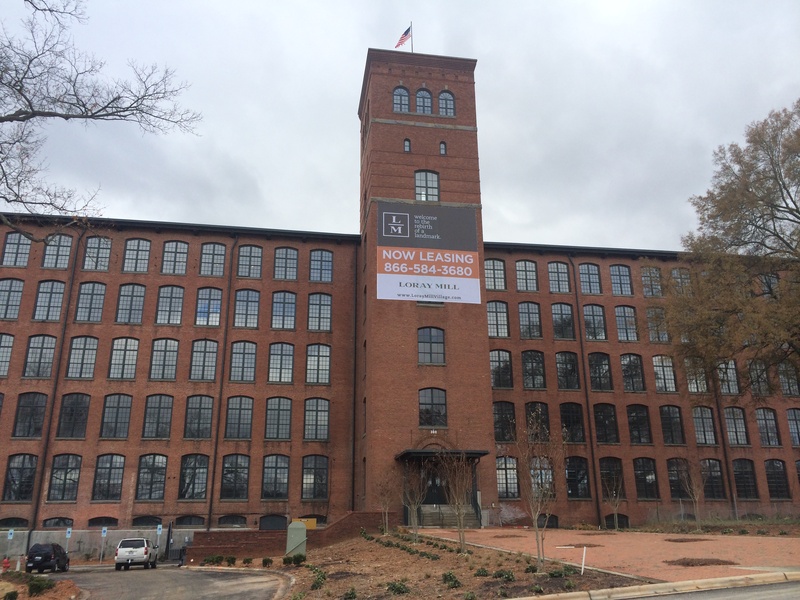 But I recently returned home to see a billboard on I-85 that promised housing, shopping, and dining at the Loray Mill Lofts. It seemed that the dream had finally become a reality. 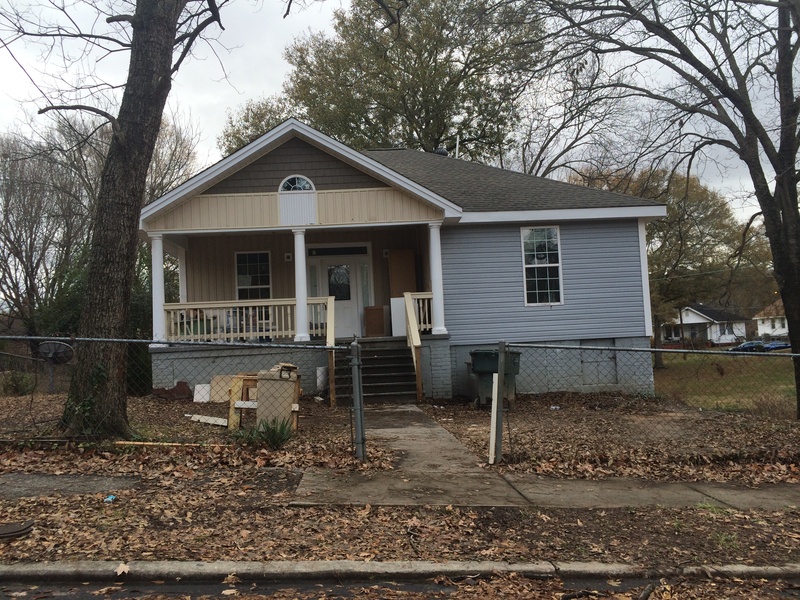 Gritty, working-class west Gastonia would finally attain the oft-derided yet elusive dream of gentrification. 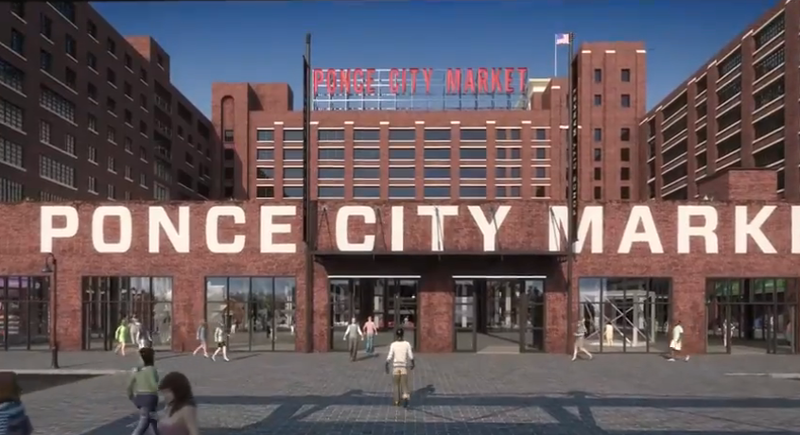 Numerous other big cities had seen mills rise from the ashes as hipster housing—think of Atlanta’s the Stacks project in Cabbagetown, or its rapidly developing Ponce City Market—but such a socioeconomic makeover happening in Gastonia would be a true coup. Who would live there? Who could afford to? What developer would plow money into such a fundamentally risky project? 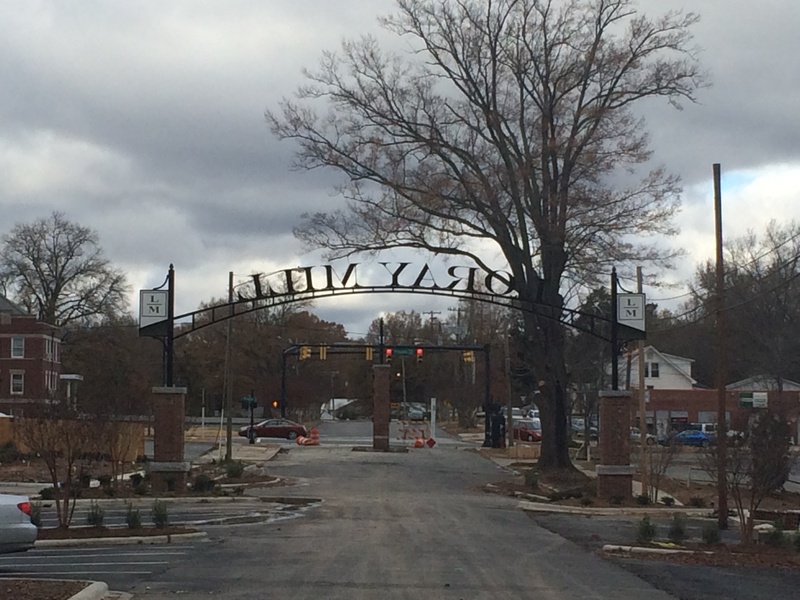 Situated just southwest of downtown Gastonia, the neighboring area surrounding the Loray Mill is known as Loray Mill Village. It was established in 1902 after the completion of the Loray Mill. Life revolved around the mill. Families in the neighborhood worked together and knew one another personally. 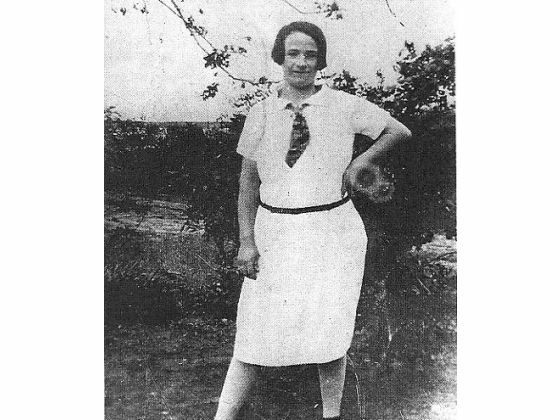 Their children would gather at the mill’s swimming pool in the summer, and parents could walk to the bank, the post office, or the grocery store, all within a few blocks. Through various ownerships, the mill and surrounding mill village finally was purchased by Firestone, Inc. in 1935 and life continued. There are some big, gaping holes in that story. You don’t have to be Michel Rolph-Trouillot to read for the silences here: the families merrily skipped to the swimming pool and the grocery store, and then the mill changed hands and life continued. (“Yada yada yada…”) In fact, if you think about it, paternalistic mill owners practically invented the idea of live-work-play! Naturally, a developer trying to sell rental units is not going to dwell on the historic abuses of the Southern textile industry, or the legacy of a deadly labor conflict. (“Come live where the local Sheriff was shot in 1929—only $850 for a one-bedroom/one-bath!”) But it does raise some officially icky questions about how the past is repackaged in the name of redevelopment and even historic preservation. If the good people of Gastonia swept this history under the rug when I was growing up, will the new denizens of the Loray Mill Lofts have any place for it on their Billy bookshelf? I could not resist going to see the lofts’ progress over Thanksgiving, to see if the scruffy neighborhood where I’d once lived as a kid was already submitting to the bougie death-rays of our creative-class overlords. (They eat Citarellas, don’t they?) One early signal was decidedly mixed: the horse-shoe-shaped complex of tiny apartments where my mom and I had lived on Weldon Avenue had been comically rebranded “Loray Mill Villas,” though the condition of the units appeared to have changed little, and the sad-seeming sign did not exactly scream villa-tility. My grandparents’ old home down the street, which they had worked tirelessly to fix up in the early 1990s, had fallen into ruins. My aunt’s place half a block away was soldiering on, eight years after they had decamped for a newer suburb near Spencer Mountain to the west. But most of the neighborhood—now re-known as Loray Mill Village—was about the same as before, if a little worse for wear. It certainly did seem to have been hit by a thunderbolt of bohemianism or generalized reinvestment. Indeed, the Charlotte Observer noted that developers had planned to move in residents by March of this year, but then announced that the first units would not open until the end of May. When we visited the Lofts around Thanksgiving, it did not look like a place where people were already living. (An inquiry with management revealed that the first one bedroom-one baths would become available on December 27, 2014—“loft apartments as unique as you are!”) Some entrances in to and out of the development were still blocked, as Latino construction workers carried materials back and forth. It felt like the kind of place where I would get in trouble for taking pictures, but that’s a frequent enough occurrence for me. It was, in other words, very much a work in progress. My wife and I left the site to visit Downtown Gastonia, which for decades has struggled to revitalize itself like many old central business districts in Greensboro, Winston-Salem, and countless other Southern cities. The department stores fled to newer malls to the east in the 1960s, and the old brick structures and parallel parking of downtown grew ever more desperate, despite the occasional attempt to insert a pizza place or coffee shop into a landscape dominated mostly by lawyers, bail bondsmen, and people paying electric bills and parking tickets. The district has started to get a bit of traction in the last five years or so, though; a Mexican restaurant, Tequila’s, has carried the torch for Downtown since 2001, at times seeming to stand alone athwart the forces of urban decline, and a pub or two has taken root more recently. We visited a newer place called Zoe’s, which offers coffee, craft beer and Sonic Youth in a rehabilitated old building across from the city’s commendably modest City Hall. Bringing life back to Downtown has been a unicorn-level ambition as long as I’d ever known there was a Gastonia, and the artists who worked at Zoe’s confirmed that it continued to be a slog. 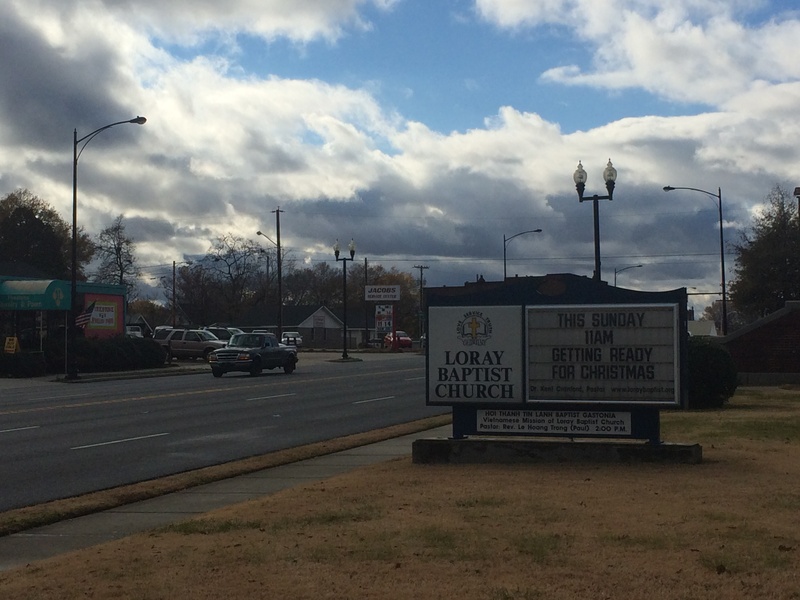 Indeed, some resented the fact that the Loray Mill project threatened to sap interest away from concerted efforts to reinvest in Downtown: even though Loray is only a little over a mile from Zoe’s, it is not really walkable, certainly not in Gastonia terms. Collin Martindale, a painter and relative newcomer to the city, told us that the Loray project had had trouble recruiting retail tenants. He also commented that efforts to revive Downtown should be focused on rehabilitating buildings in the old business district, not drawing people away to the Loray Mill. The Loray Mill sits on the very periphery of that world, as close to Shelby to the west (the fictionalized setting of Eastbound and Down) as the bank towers of Charlotte. The old Gastonia that we first came to—the one of textile mills and fish camps and the Fish Camp Jam, a now-defunct annual festival that featured, amazingly enough, catfish races—seems to be slipping into the eclipse of a newer, cleaner, Charlottean order of the future. 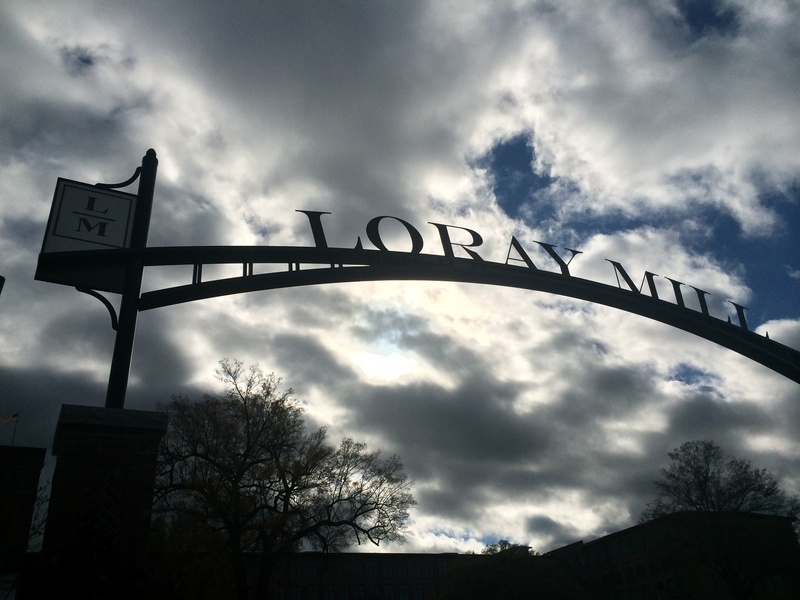 The Loray Mill Lofts themselves might be the furthest reach of that metropolitan dream, but it remains to be seen whether the future can make it at the edges. There is also an ongoing effort to create a memorial to Ella May Wiggins. Nicely done. I’d reblog if I could find that option. I am indeed, though a North Carolina native. 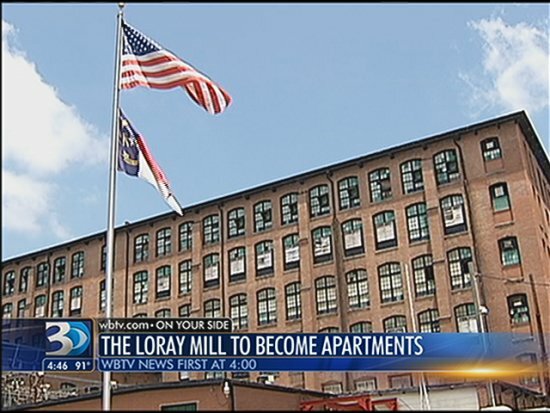 Thank you for sharing your well-written thoughts about the Loray Mill. There needs to be more conversation about the history of this significant mill. Also thank you for linking to the Ella May Memorial facebook page. Oh yes, come to England and drown in the cosy repackaging of the past, eliminating everything that peaks of structural inequality. Thank you so much for your writings that are sure to bring about a better understanding. I will love-hate Loray from afar now. 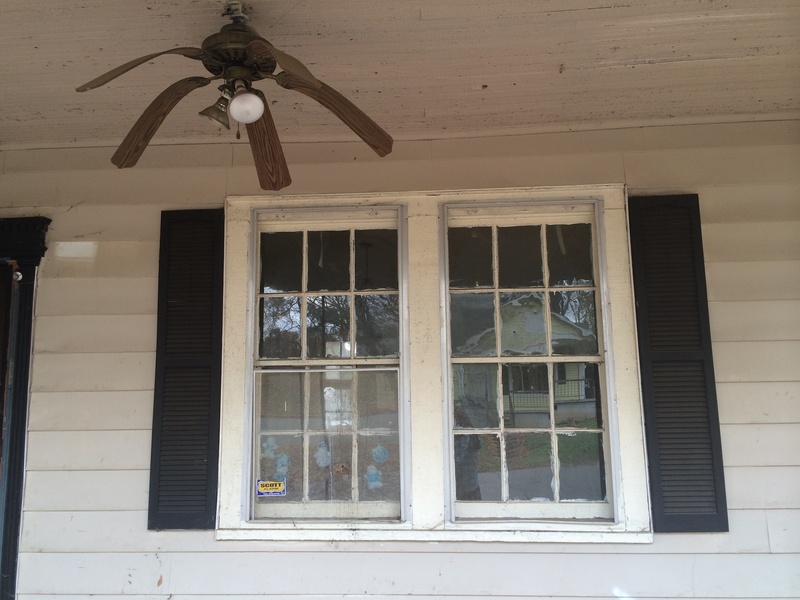 While my father hoped it would be torn down, I accepted that it probably wouldn’t be. I thought maybe those of us pro-strike ’29 were being punished by the decaying green-eyed ( window) monster of a building left standing like Godzilla. Sure to be conspiring with the empty Sears building to depress the community! It seemed as if it were on-purpose eye-sores and not the natural result of a poor economy. When I saw what looked like a gated-community, I was sure that was the catch! While promising to help bring West Gastonia up, it seems like it is already displaying some of the class-structure that made the Loray Mill infamous to begin with. That will be especially true if the streets stay blocked off dividing higher rent from lower rent. In over 80 years no one can agree on what to write in stone about the Strike of 1929. Those still on the side of the Mill-owners don’t care to get it! I told Daddy I hoped the building would be used for a children’s hospital because even if they did make it into housing it would be too expensive for most people in the neighborhood. Also I hope that in my lifetime there will be a movie about the Strike of 1929 and Uprising of 1934. Ella May Wiggins is the person I admire most in history. It is hard to believe it but it could be true: some people don’t want her story known. She was a force to be reconned with because she didn’t back down. Neither does her memory. Margene, I am always touched when others say they are moved by Ella May’s story. There is more of her story to tell. She was my great-grandmother. My book about her will be published by McFarland Publishing in 2015. I encourage you to join Ella May Wiggins Memorial on facebook if you are not already a member. We are working on constructing a bronze statue in her honor. Reblogged this on Love the View. I hope you will return to Loray Mill, to see the 190 loft apartments that now exist, thanks to the vision of many Gastonians. 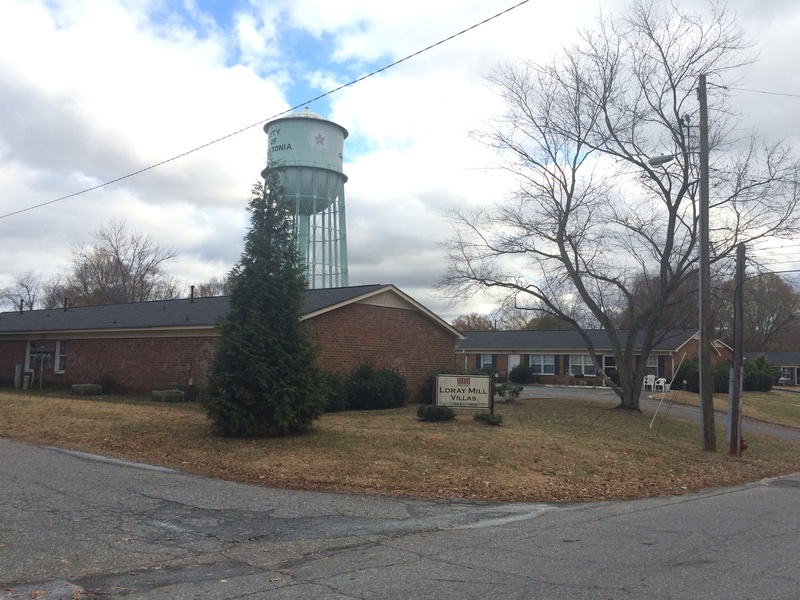 As a current resident of Loray Mill, I think we honor the past, with the History Center in the building, and a renovation that includes many original building and equipment features, while also being an important part of the on-going improvements in West Gastonia. Wiley Cash’s excellent book, The Last Ballad, tells a part of the building’s history, and a DVD captures a more complete history of Loray Mill that includes the Firestone years. Come and visit – we residents, varied in race, class, and age, will welcome you. We are part of Gastonia’s present and future, and we appreciate the past and its lessons.